During Facebook’s early days, we loved it because it made MySpace look like a heap of garbage. It was elegant, exclusive, and easy-to-use. The focus stayed squarely on a perfectly controlled user experience, and Mark Zuckerberg and co. delivered like no other. The streamlined look and lack of ads made our 2006-era hearts sing. The new Newsfeed may make us fall a little bit back in love with Facebook, since it’s a good-looking revamp. But this time, ads are definitely along for the ride. As the service grew (and grew … and grew), things had to change to make it a viable business. The user base blossomed, and businesses, marketers and all sorts of enterprising people took advantage of the platform to build brands and gain fans. It’s only fair that Facebook wants to monetize its services, especially since it’s now a public company. It started working with advertisers, people complained, but most of us didn’t mind enough to change how we used the service. But some of the upcoming changes to the site make it clear that the social media site is transforming slowly but surely into a full-fledged ad platform. And those who pay Facebook to market themselves will have more opportunities than ever to exchange cash for attention. Will Facebook alienate its users or find a way to walk the fine line between selling ads and keeping fans? Bigger and better, or just more annoying? In Thursday’s event unveiling the new look, Mark Zuckerberg talked about “the evolving face of News Feed.” He said the redesigned News Feed will focus on three things: Richer stories, more choice of feeds, and mobile consistency. Product Design Manager Julie Zhou compared the new, more visual News Feed to a container for storing stories. Some of the changes are undeniably cool: First of all, the jumbo-photo layout looks gorgeous. And the separate feeds are convenient if you’re in the mood for looking at a certain type of post. The mobile makeover looks a lot more user-friendly. All in all, it’s an exciting overhaul. Still, lots of people vocally bemoan Facebook changes. They are undoubtedly going to freak out over the alterations, but that’s hardly anything to get upset about considering the more insidious developments brewing. Something went unsaid during the event: Along with photos and posts, ads will also get a more prominent place on the page. Instead of blending in with user-driven content, attention-seeking advertisers will have an easier time yanking your eyes toward their handiwork. Now, say you don’t want these bigger, bolder ads. You might be able to give them the boot, at least on your profile page, according to a patent filed by Zuckerberg in 2011. The patent, given the working title “Paid Profile Personalization,” lays out a plan to let users pay money to get rid of ads that appear in their profiles. In addition to planning for jumbo-sized ads, Facebook is strengthening ties with marketers in a variety of ways. For instance, Facebook announced an update to its Custom Audiences Targeting Tool that lets marketers work with third parties to deliver the most effective custom ads on the site. It also bought Atlas advertising software from Microsoft, which will help them build up an external ad network. Facebook is rolling out all sorts of new tools to help marketers willing to pay them reach new audiences. A feature called “Lookalike Audiences” is in limited testing beta for select users, and it lets marketers find new people to target using an algorithm that finds profiles similar to those they’re already targeting. And when engineer Chris Struhar talked about making the Facebook experience more uniform on desktop and mobile, he emphasized how Facebook wanted to let user content shine and let the platform itself fade into the background. And while the new design does feel more streamlined, it doesn’t only privilege user content. Whereas Facebook initially failed to effectively implement mobile ads, this new design will likely let advertisers embed their commercial posts into various feeds on mobile. This could have a huge impact on how profitable Facebook’s mobile component becomes. Facebook is a for-profit business and these new steps illustrate how it is taking advantage of its clout with marketers and advertisers. But these new measures are making it hard for people to pretend that it’s just the fun place to share with their families or ex-college roommates that it used to be. Most of us are guilty of thinking about Facebook like it’s a service primarily meant to help us. It’s not. While the original intention behind hosting ads might have been keeping the service free, it’s now about turning a profit. The company’s intentions are now so tilted towards squeezing as many benefits out of its user base as possible that it’s actually kind of silly to pretend otherwise (but so many of us do anyway). Obviously, to make money and keep investors happy, selling ad space makes sense, but Facebook is walking a fine line – if users feel like it is more of an ad platform than a social tool, they may start abandoning ship. Even as it upped the frequency of ads in the last year, it hasn’t seen a decrease in users, so it probably has quite a bit of wiggle room until people get fed up. To be fair, it has seen a significant decrease in user activity. 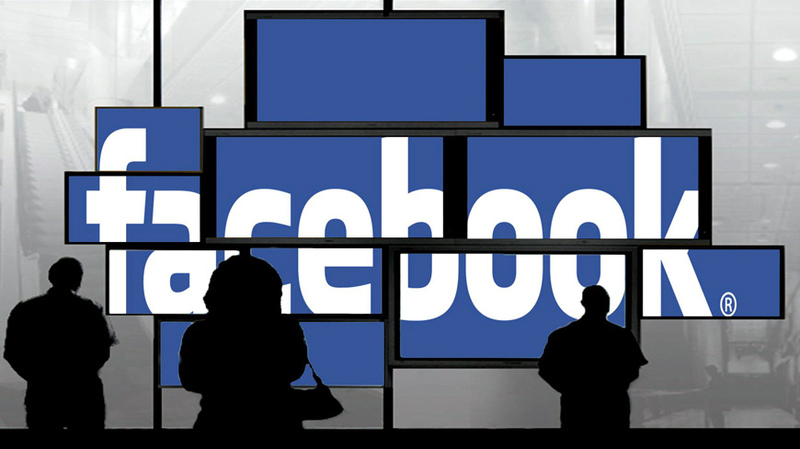 It’s a risky time for Facebook to make such an obvious move toward becoming an ad network. Most of us use some element of Facebook too frequently to let a few obnoxious ads dissuade us, but a social network is only as valuable as its user base. If it weren’t so damn pretty, the News Feed would really toeing the line between annoying-yet-tolerable and seriously-irritating-and-alienating. Which is part of the design itself: Distract everyone with a good-looking site, and they’ll forget they’re being sold and sold to – or at least forgive rather easily. Facebook is now an ad platform that we can conveniently message our friends on — but if the revamped News Feed improves user experience, negative blow back will probably be negligible. Until a better alternative comes along, people will likely put up with the onslaught of marketing ploys and digital ads, but each move away from user enjoyment and toward marketing power will whittle away loyalty. And since Facebook is already having trouble engaging teens, the social networking titan can’t be cavalier about keeping its users’ hearts.